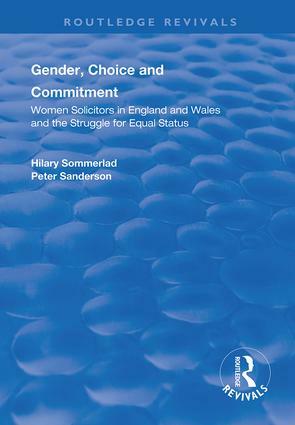 First published in 1998, this volume is the first full-length discussion of women’s experiences in the solicitors’ profession in the UK. It provides an account which is grounded in historical research and a contemporary research study. The authors explore this material to analyze both women’s own experiences and the mainstream culture and structure of the profession. Following a treatment of the struggle against the formal exclusionary barriers to women’s entry to the profession, this book then seeks to identify the informal obstacles which were subsequently erected to women’s participation and career progression, and examine their persistence, in a modified form, into the contemporary era. The analysis draws on perspectives from feminist jurisprudence to the sociology of the professions to shed light on the processes which support women’s continued subordination in employment as lawyers. From Informal Exclusion to Full Participation?